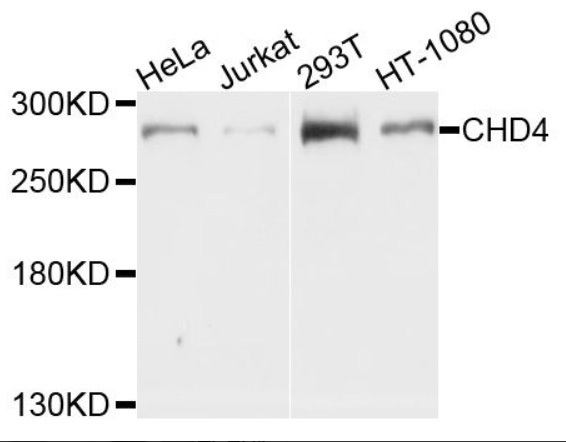 Western blot analysis of extracts of various cell lines, using CHD4 Polyclonal Antibody at 1:1000 dilution. Secondary antibody: HRP Goat Anti-Rabbit IgG (H+L)at 1:10000 dilution. CHD4 Polyclonal Antibody. Unconjugated. Raised in: Rabbit.